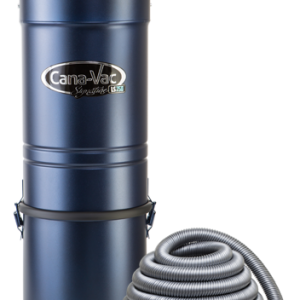 Our Signature™ Series Cana-Vac central vacuum line is designed for the lifestyle needs of consumers who have growing families and want a central vacuum system that will be a part of their family for many years to come. Cana-Vac Signature units use only the best Tangential bypass motors from Ametek. The Model XLS 970 with an 8.4″ Tangential motor offers the industry’s largest and best motor to date! For those who value quality, longevity and performance. Choose a Cana-Vac Signature™. Our Signature line continues the legacy on which Cana-Vac was built using heavy duty long lasting motors. Their ability to outlive competing vacuums. 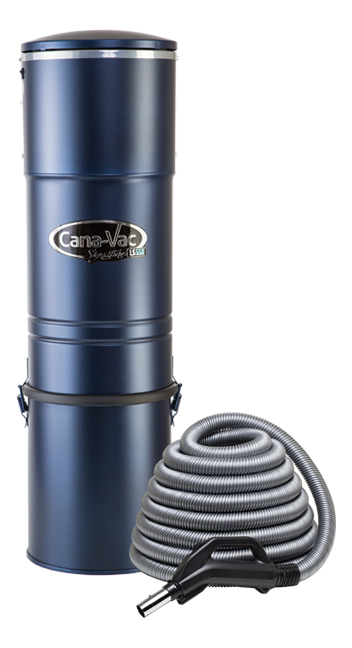 The Cana-Vac Signature Series vacuums are the most powerful vacuums in the industry today. Simply because the motor inside is not your typical standard “flow-thru” motor. It utilizes a heavy duty performance motor – Tangential bypass. In simple terms it has a motor that creates more suction, improves vacuum performance and lasts longer than all other standard flow-thru motors.